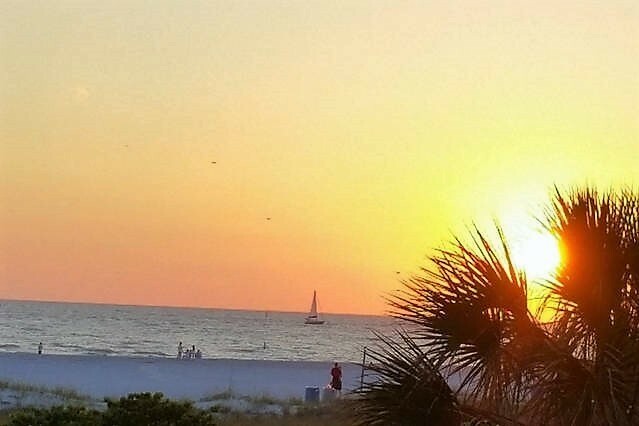 SUNSET VISTAS TREASURE ISLAND VACATION RENTAL 311N ~a 2 bedroom/2 bath North view of the Gulf of Mexico condo. 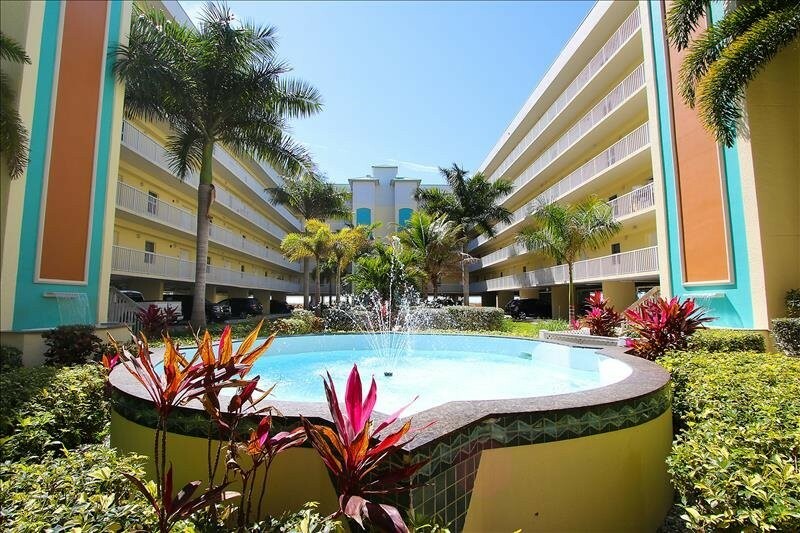 It is located in the North building, on 3rd floor, closest end to the beach and family pool. The condo captures the beauty of the white sandy beach, blue waters, and world-renowned sunsets .A fully-equipped unit for a comfortable stay with a KING BED in the master with access to the balcony, flat screen television and ceiling fan and a queen bed in the guest bedroom, flat screen tv and ceiling fan. And a queen sleeper sofa for additional sleeping space. A fully equipped kitchen with granite countertops for money-saving meals and a convenient stackable washer/dryer in the unit. Just bring your swimsuit/beach towel, sunglasses and lotion and be prepared to relax and let your cares drift away. It is a spectacular place to spend time for the whole family. Two pools- one kiddy pool and jacuzzi area and a large family-friendly pool with a jacuzzi too! Lounge at the beach, search for shells and sanddollars or unwind at the Tiki Bar for a cold tropical beverage (with the umbrellas). Sunset Vistas has a quaint cafe for those slow relaxing mornings on the veranda with coffee and a muffin or rock in the hammock listening to the fountains in the lush tropical courtyard. Outside on the beach has lounge rentals. 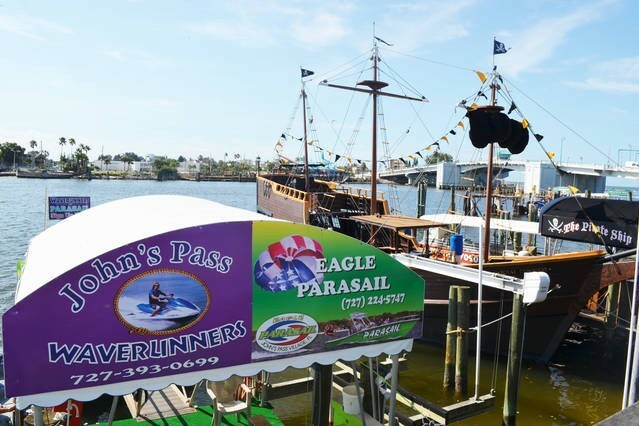 A short walk/drive North to popular John's Pass Village and boardwalk for beach shops, several restaurants and multiple water excursion rentals-go on a dolphin watch, deep sea fishing, wave runner rentals or racing boat rides. Your family/friends will be jealous at home to hear all that you did...Try your hand at putt-putt -Smugglers Cove, , grab an ice cream at the popular Shake Shake just outside the property. Jump on the trolley and visit Clearwater Marine Aquarium or Clearwater Beach. 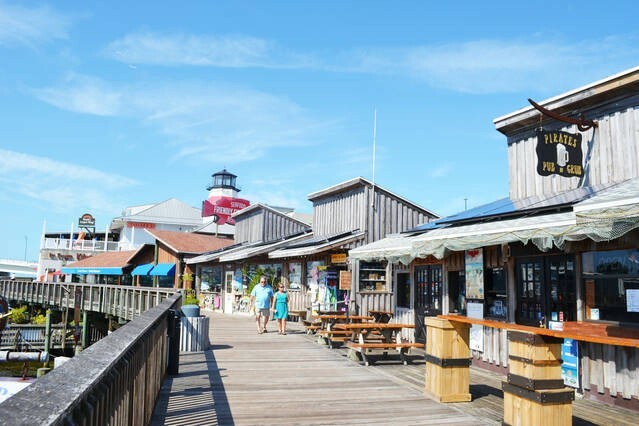 There is so much to do here on Treasure Island...your family will not be disappointed. Want something other than the beach--You will be just a short drive to malls, theaters, and downtown St. Petersburg for museums like Dali or Chihuly, visit the popular Beach Drive for carriage rides, walk among the huge banyan trees, and dine at many fine/casual indoor/outdoor restaurants. Some local restaurants: RBar, Ricky T's, Middle Grounds, Sloppy Joes, VIP lounge, Britt's pizza, Foxy's Restaurant, Shrimpy's, Fiolas, Wafflehouse. Grocery store: Publix, just south on 104th/Gulf Blvd. Drug store: Walgreens, just south on 105th/Gulf Blvd. liquore Store: ABC store, just south on 107tth. Please contact me with information regarding Sunset Vista311N. Very nice condo! We enjoyed the beautiful beach and pool areas. Room was clean and decorated nicely. My family, wife, 3 kids, ages 14, 16, 18 stayed in unit 311N for a week, July 21st to July 28th. The condo/unit is perfect, full kitchen, balcony, 2 full baths, king bed on one room with it's own bathroom. Queen bed in other bedroom, pull out sofa sleeper in main room. Everyone had a bed. Flat screen televisions in all rooms, the place has a washer and dryer which is a HUGE plus for towels and keeping clothing clean. Having the kitchen to save money on breakfast and lunch to include even a few dinners is really nice. Great view overlooking the pool area. Staff at front desk are super friendly and really accommodating. They want you and your family to have a good time and to come back. Maintenance team is constantly in motion, keeping the grounds, the pool and common areas clean and in tip top shape. The really attack the place each day so that it's clean and you want to be there. Pool is much bigger than many properties in the area. Beach access is so close and the sand is clean. The place is really set up for families. We encountered people from Canada, England, Germany and of course families from all over the US. We booked through Sandcastle Realty and they were solid and helpful prior to arrival. I look forward to returning next year. The only negative comment I have is the parking is tight. We had an assigned space and thankfully nobody ever parked in our spot but getting to it requires a little patience and some maneuvering. 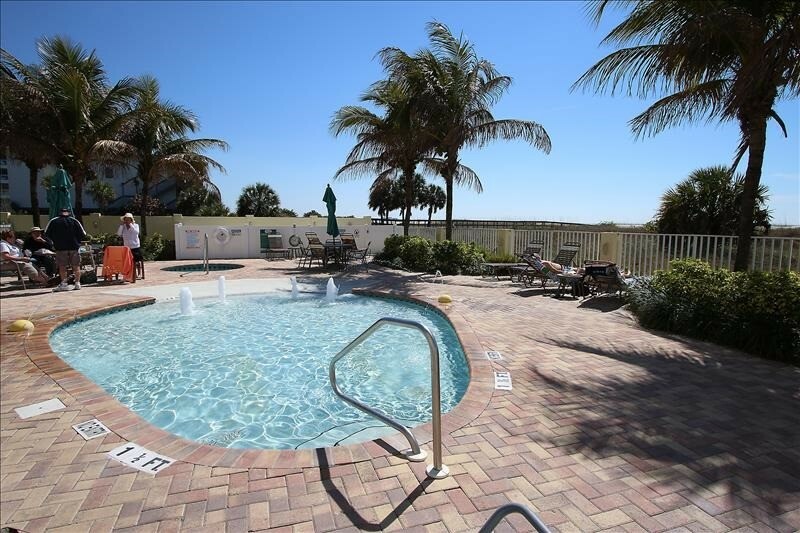 Other than that which is minor you will enjoy the Gulf breeze, the sand, the sunshine, the pool and the staff at Sunset Vista. 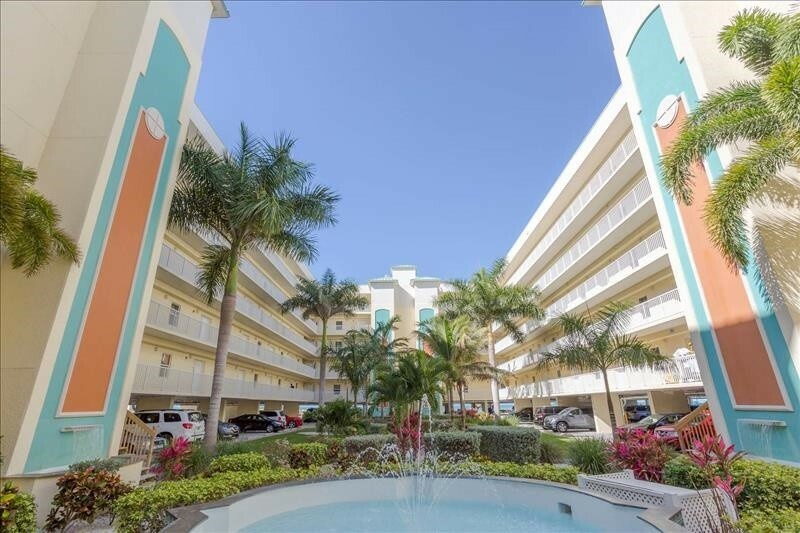 Very nice & roomy condo has everything you need. Great pools, tiki bar, easy access to big beach, Clean, beautifully maintained property. Would definitely come here again!